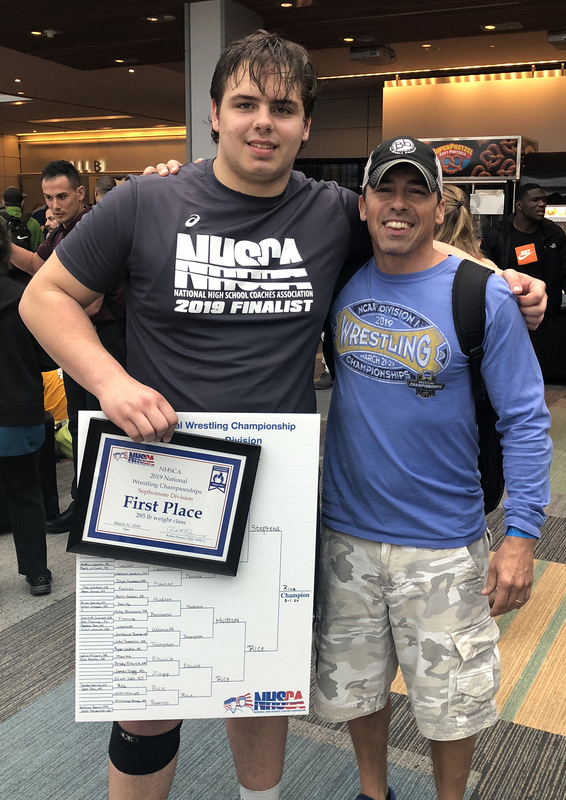 Congratulations to Norwich High School’s Tyler Rice, who won the 285-pound sophomore championship during the National High School Coaches Association Championships this past weekend at the Virginia Beach Convention Center. Tyler entered his 45-person bracket of all sophomores as an unseeded wrestler at 285 pounds. He went on to win the title with a finals victory over the third-place finisher in Pennsylvania’s state tournament this past winter. The NHSCA Championships featured more than 4,000 wrestlers from 18 states across the country.